Right, Destiny is out – which means many of you have been playing the game since yesterday. Very many of you are likely further than the point you got to in the beta. that means that not only have you gone to the Moon, but you’ve probably hit Venus and beyond. I’m enjoying my time with it. For now, I’m trying to do as much of the campaign (largely solo) before I start entering in to group activities, but I’ve engaged in a fair bit of insanity with public events and one strike mission with my fuzzy friend, Garth. I’ll be honest; it’s fun… but there’s definitely an element of repetition in the campaign mission structure. Right now, far too many missions seem to be me guarding my Ghost while it gets info from some computer and swarms of enemies descend on the place. I’m definitely going to have to put in many more hours before I’m able to accurately review it. It certainly picks up a lot when you’re playing it with friends as opposed to going it alone. User reviews at the moment – on sites like Metacritic – aren’t too favourable, with many saying the game’s boring, decrying its missions and the fact that it plays much like an MMO. The current user score for the Xbox One version is 4.8, with 5.1 for the PS4; it’s filled with this sort of thing. 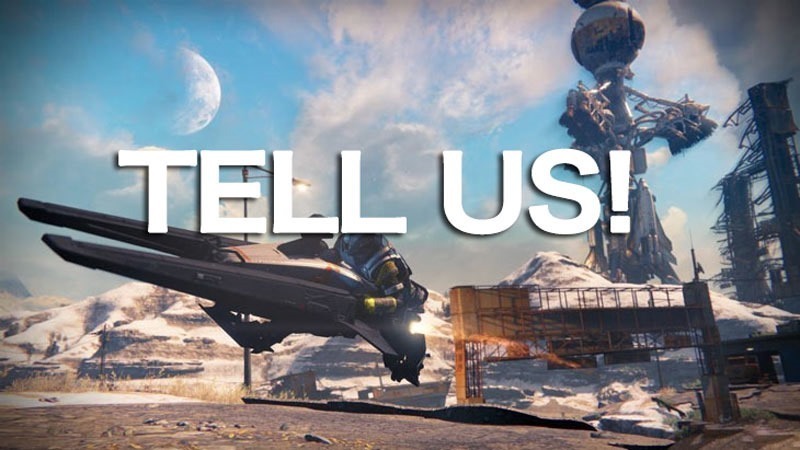 Those of you who’ve been playing; what do you think of Destiny? Is it the best thing since sliced bread, or is it just another over-marketed, overhyped game?